Only here you will find all the answers you need if you suffer from periodontitis. So if you are looking for a Periodontics Clinic come and see us and we will solve all your dental problems. We can say that periodontics is one of the specialties within the world of dentistry responsible for diagnosing, preventing and offering the best dental treatments for any type of disease related to periodontitis. And is that these types of diseases have a lot to do with plaque or the subsequent appearance of the dreaded dental plaque, even below our gums. All this may be the origin of the loss of our teeth, so it is one of the dental diseases that requires more attention. Below we detail more in depth what are the diseases related to Periodontics. Lets See. Within dental diseases related to periodontics we must speak of gingivitis. Gingivitis is a type of dental disease intimately related to the abnormal inflammation of our gums. It is usually caused by the accumulation of bacterial plaque, which, when hardened, also forms what is known as dental plaque. Its origin is always for not wearing proper oral hygiene. That is, brushing at least a couple of times a day, flossing and rinsing with any type of dental mouthwash. Gingivitis is a type of disease that we could call silent. And it does not cause any kind of discomfort in the person. The best way to identify it is because the dental gingiva changes considerably in color, to a much more intense red. Even during tooth brushing it is possible for the gums to bleed. We must first say that our own saliva is capable of making a kind of protection against our gums, especially in the face of any type of external aggression. But inside our gums there are certain microorganisms that cause the gums to become inflamed. The greater number of these microorganisms, the greater the inflammation of the gums. This is where we can say that we find the origin of periodontal disease and all its subsequent problems, which can trigger the loss of teeth. The first thing we do in our Dental Clinic of Torremolinos is to perform a deep periodontal study to know in a first stage the state in which your gums are. To do this, we perform specific radiographs and a deep periodontal study. With this we can measure your gums and have a base on which to work in the best way possible. 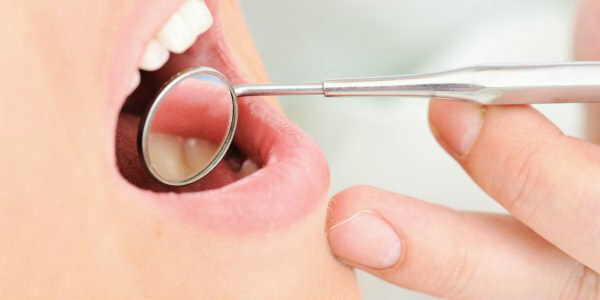 Then we perform a deep oral cleaning with which we can recover optimal health for your own gums. He is also known in Dentistry as Dental Curettage. For this purpose, different types of dental scraping are performed with a little anesthesia locally. Afterwards, the client goes home with specific instructions to take care of his gums during daily dental hygiene. To this end, specific toothpastes are used for the gums as well as mouthwash for gums affected by periodontitis. Subsequently, and after a couple of months, the patient is required to see the condition of their gums and if it is necessary to perform more dental scraping to eliminate and, especially, prevent the possible appearance of gingivitis or periodontitis. There are very clear differences between endodontics and periodontics. As we have commented previously, periodontics is a kind of oral treatment against gingivitis and periodontitis. 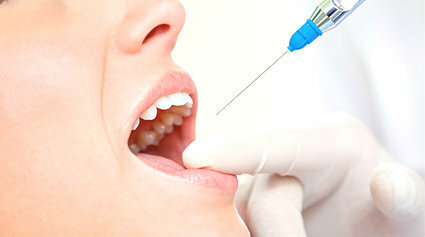 Within these treatments we can find dental curettage or the definitive elimination of all that bacterial plaque and periodontal pockets that are in the patient’s mouth. On the contrary, endodontics refers to dental diseases generated by some type of dental trauma or some kind of infection. 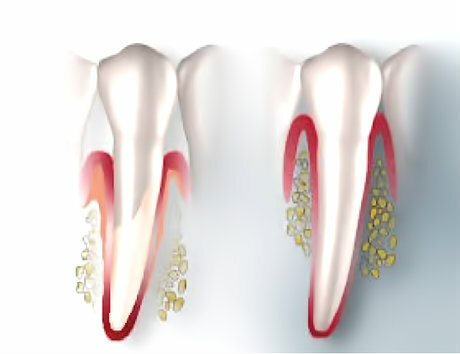 For the realization of an endodontics, it is accessed directly on the dental cavity to eliminate and suppress the best possible part of the dental pulp that has been affected. After that area is sealed to restore the affected area perfectly. So you know, if your gums bleed when you brush your teeth, it’s an unambiguous symptom that you have some type of dental problem. And the best thing is always to treat it in time and tackle possible future problems. To do this, request an appointment now at your Medident Dental Clinic. Monday – Friday 9:30 a 14:00 y de 16:00 a 20:30 hs. To be attended and guided by one of our doctors ask for your first free appointment and offer a quality service to meet your needs.